WSOP.com and 888 Poker are quite confident that the approval process for their new software will go off without a hitch and as such, WSOP.com has sent out e-mails to players and published a press release announcing the opening of registration for new accounts. The WSOP.com software is being reviewed by the regulatory bodies of Delaware, Nevada, and New Jersey and if approved, New Jersey will finally share poker player liquidity with the other two states on the WSOP/888 network. The target date for the new interstate network to go live is May 1st. Last week, WSOP.com and 888 Poker announced that they submitted a new version of their software to regulators in the three states; the end result of the approval would be that the three states would be together on an interstate network. Delaware and Nevada joined forces in 2015, but New Jersey has been the holdout. And considering how much larger New Jersey’s population is than the other two states combined, the Garden State’s team-up was very much coveted. 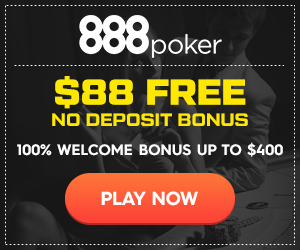 The interstate player pool sharing will only be on the WSOP.com/888 network, though, so players on PokerStars and the Party/Borgata Network in New Jersey will not see any benefits. For players on WSOP.com in New Jersey, the big deal here is that they will get to compete for official World Series of Poker bracelets in the four online events this summer. These events were previously restricted to people on WSOP.com in Nevada. Nevada and Delaware players will need to create new accounts on the network. In the announcement made yesterday, the WSOP said that pre-registration for said accounts is open starting today, so those who have their hearts set on a specific screen name should hop to it. Everyone who pre-registers will be entered into a drawing for a seat in the WSOP Main Event. Those who already had WSOP.com accounts in Nevada or accounts on the 888 network in Delaware will have all of their funds, tournament tickets, and loyalty points transfer to the new account. I honestly have no idea if this is better than the current rewards program, but it certainly looks simpler. The number of monthly levels will be cut in half, as will the annual levels. It also looks like WSOP point multipliers might not be a thing anymore, but we will see once the new program launches.